Our Healthcare Merchant Services specialize in deploying and providing you the PASSPORT to the lowest cost merchant services for medical doctors, dentists, labs and vision centers. Starting a new medical practice is a huge challenge, so we are keeping it simple, low cost and quick for you. In your private office, no pressure, you can analyze your benefits and apply online. Discount rates are usually quoted with only the qualified rate by most processors. However, a educated merchant (which we want you to be), including most large merchant knows that the least expensive option is Interchange Plus pricing (read more..), at times known as the wholesale variable rate. You can rest be assured that you will always receive the lowest rates regardless of when VISA/MC changes their nation-wide Interchange rates, so you can pass the savings to your patients. Our terminals are also setup to accept Healthcare Provider cards if you are a Health Care / Patient Care provider as reported to the IRS or SIGIS IIAS approved. 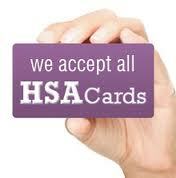 These cards are better known as Flexible Spending Account (FSA), Health Reimbursement Account (HRA) and Heath Saving Accounts (HSA) that automatically processes the claims for the patient to simplify the transaction for both physician and patient. Per IRS regulations, there are several types of Health Care providers that are not required to have an IIAS system or 90% rule exemption. This includes doctor’s offices, hospitals, dentists, medical labs, vision centers and others because the services you offer are strictly health care related. If you are also selling unrelated products, visit SIGIS IIAS for a list of eligible services, download this Health Spending Account list. UBS is also pleased to announce nationwide Free Equipment program option. Every merchant , whether you have a new business, existing business or reprogram has the option to receive a new Verifone, Hypercom or Nurit POS Terminal or a Wireless Handheld terminal. 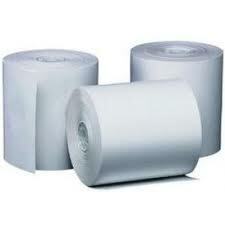 In addition, free monthly supply of paper and ink. This is perfect for your healthcare practice and eliminates the need to wait 30 minutes to reprogram terminals in the field because every merchant, existing or new, gets Free Terminal. The T4220/Vx510 are the latest generation of state-of-the-art POS terminals. The terminal has a built-in high-speed thermal printer, internal debit pin-pad, 14.4 modem, added memory, and is IP capable, smart card compatible and Visa PED compliant. 8320 terminal is the flagship of the Nurit line and was built to replace the Nurit 3020. Your terminal is shipped by ground/air within 24 hours. Power up the terminal and it's ready to use. Call Healthcare Technical Support if you still need help with your terminal. If you meet any of the above list of MCC codes, you just have let us know you need to be setup to accept FSA/HSA card, that is all we need to know. You can use any terminals. If you are a pharmacist that is SIGIS Certified, please forward us the email of your SIGIS Certification to be setup. Monthly Minimum $25 $25 Monthly Minimum. $25 Monthly Minimum. Leave the equipment blank if you do not know what to select. Technical Support will then contact you with some recommendations.